One of the coolest offsite features at San Diego Comic-Con is the Nintendo Lounge located at the Marriott Marquis. It’s been getting more popular every year, as I was able to simply walk in during my first two SDCCs. Nowadays, you have to stand in line for an hour to get in if you don’t make that your first destination, which is hardly surprising considering Nintendo’s new wave of popularity thanks to the Nintendo Switch—not to mention the fact that you don’t even need an SDCC badge to enjoy the lounge. 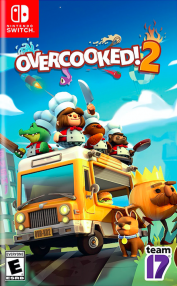 As for lines, there were no lines at the Overcooked 2 booth, thanks to the fact that it’s one of the games featured enjoyable by four people at a time without having to know the people you’re with. If you’ve played the original Overcooked, there isn’t a whole lot different here except for when you want to make use of its newest feature—throwing food. While none of the levels we played really required intense enough strategy where throwing food was actually required, it still seemed to be a useful tactic. One of the levels we played in had conveyer belts that affect your speed when preparing sushi, which usually required boiling rice, plating it, followed by adding chopped fish and nori to complete the dish (when it didn’t need sliced cucumber). 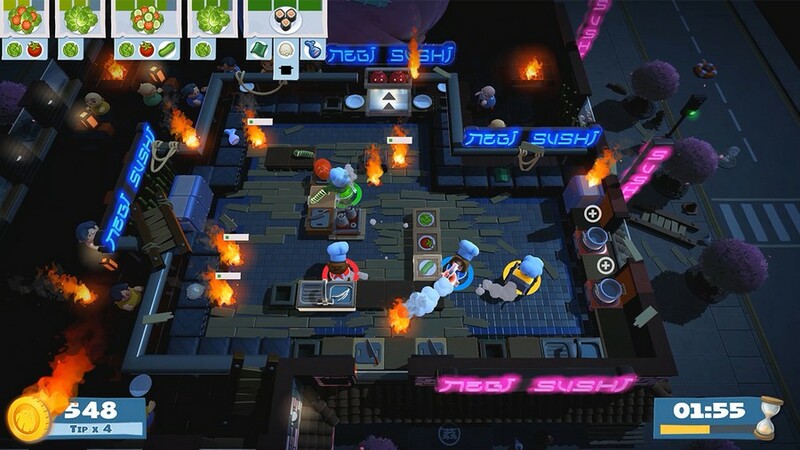 It’s all still a hectic mess–something most people love about Overcooked–and it’ll make Overcooked 2 a go-to party game when it’s released in a few short weeks.